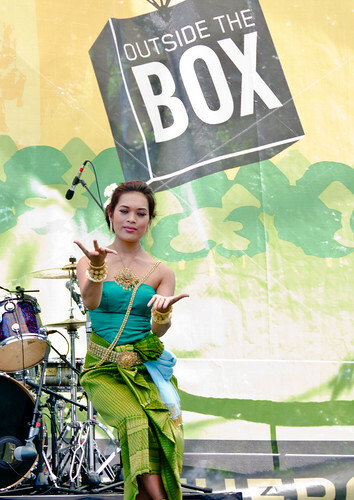 A ground-breaking, nine-day performing arts festival, featuring music, dance, theater, and culinary arts, Outside the Box debuts from July 13-21 this summer on the Boston Common and City Hall Plaza. The festival engages and encourages the residents and visitors of Massachusetts to explore, discover and participate in the arts. For 10 hours every day Outside the Box presents music, drama, dance, and culinary creations from our city, our nation and around the world. Performers from six continents and over 80 countries perform in the Festival. There is a diverse program of over 200 events involving close to 1,000 artists performing in total. All outdoor performances are free and open to the public.